An assessment is a review of the performance of an employee, a company or contractor; it is done periodically. The employer or the business owner carries out the activity to know the weaknesses of a party and also to know their strengths. It helps them to set employee development goals of the company or an organization and get know what areas need improvements. Here in this article, we have reviewed some samples used in the assessment of employees, partners, Need Assessments contractors among others to check how they perform their duties and the quality of the service they deliver. These samples are all free for download. 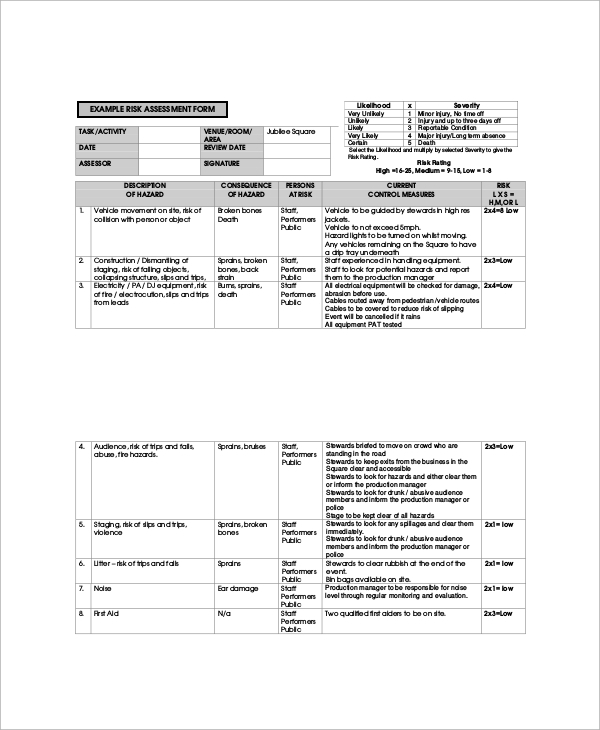 This is a form given to employee by the employer so that they can self-assess themselves. The form is later collected and it provides the employer with a relevant information to make decisions. 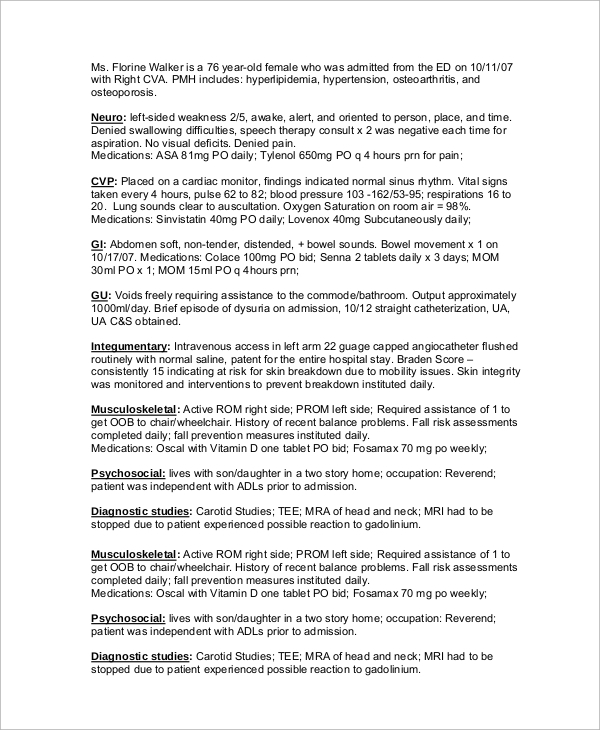 This is an assessment carried out to determine the health risks that a person may be facing. It helps them in planning their life and makes them aware of the types of insurance policies they should opt for. 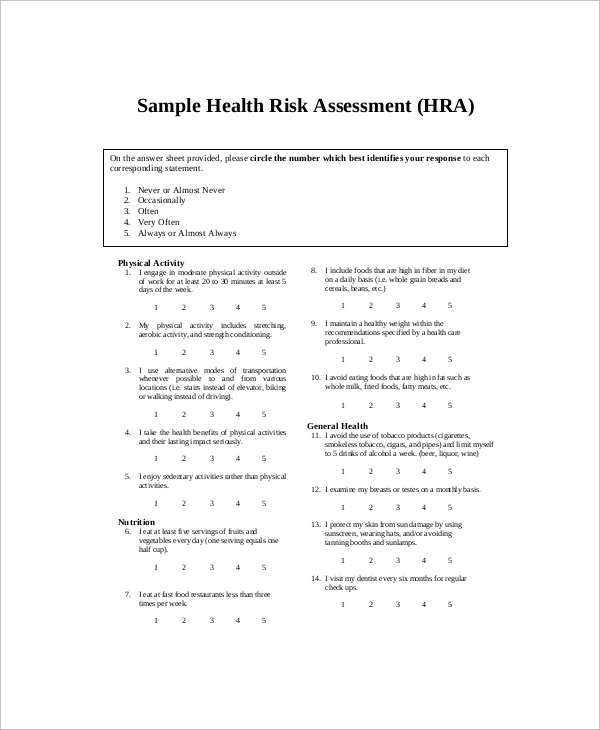 This is a sample of a risk assessment that can be used in various fields. The sample can be downloaded for free from our website and it can be fully customized to suit the needs of the users. This is a sample that can be used by the constructors or the building owners to determine the risks that their property may be facing. It helps them to know what moves to make to avoid the risk. 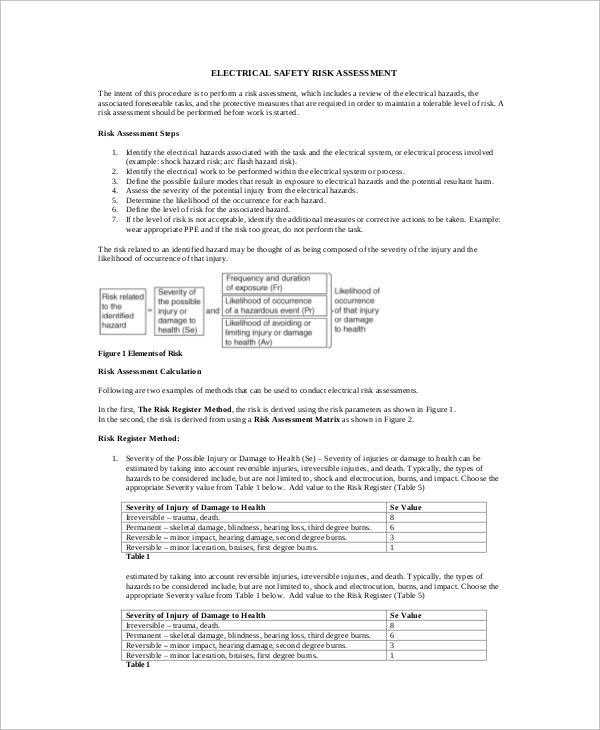 This is a risk assessment sample that is used to guide electricians on what moves to make and how severe the risk can be. 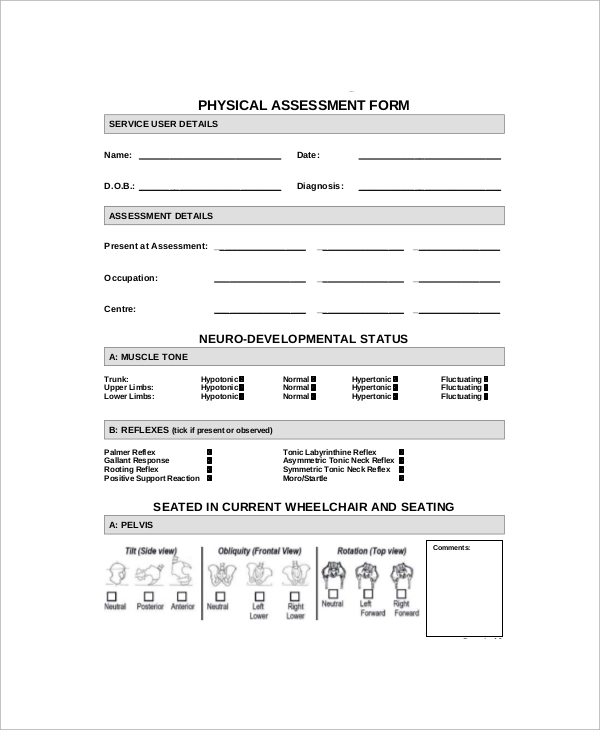 With the assessment report, it becomes easier for them to take a decision. 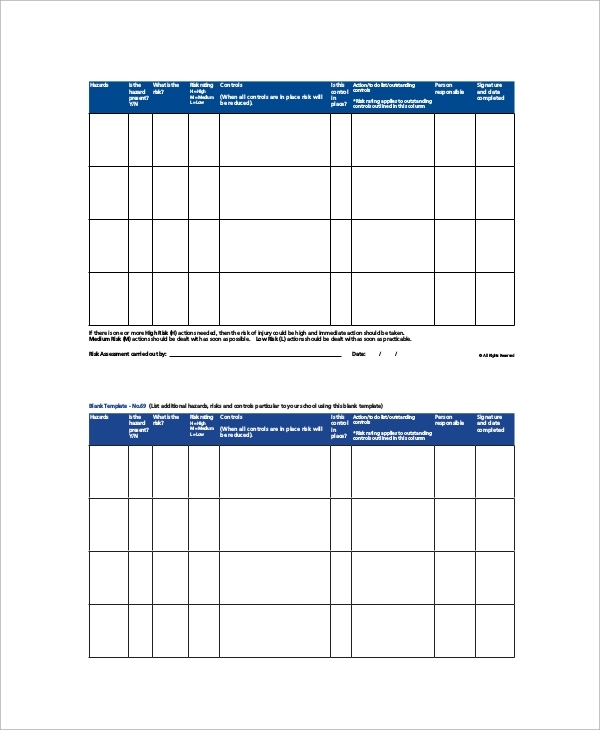 On our site, we have provided a broad range of risk assessment samples to help you come up with a risk evaluation guide, the sample are free and fully customizable. 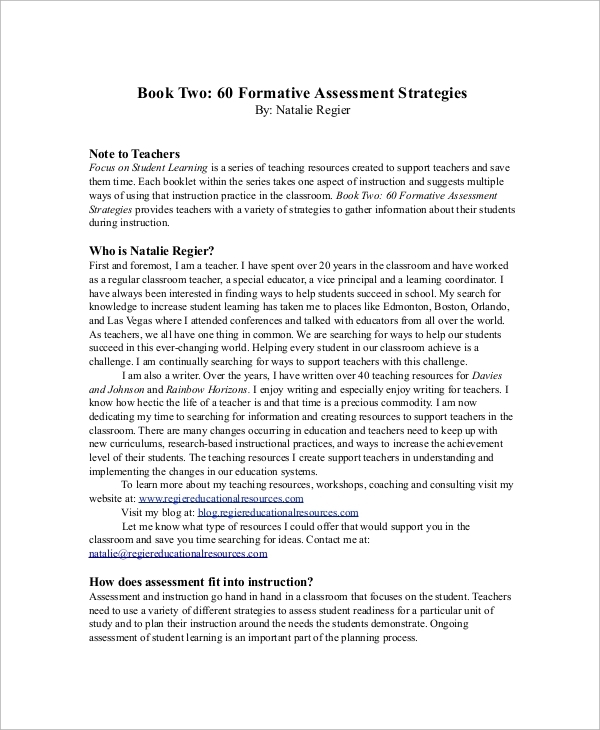 Such samples include the Formative Assessment sample among others. This is a sample prepared for personal trainers to know the risks their trainee may be facing by attending gym sessions. The sample can be used as a guide or a template. After carrying out an interview, you may need to know if it was effective or not. 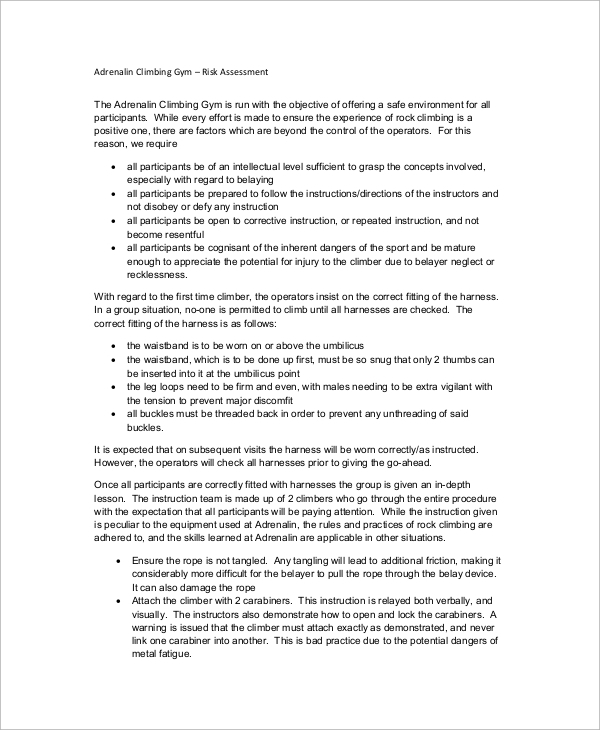 Carrying out an assessment can help you know if it was or not. By using a sample available on our site, you can easily find out which areas you need to work on. 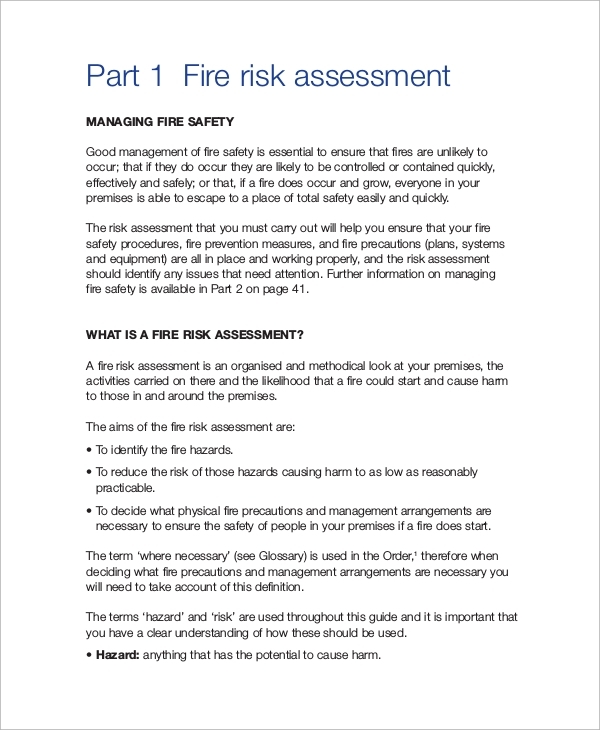 This is an assessment guide to evaluating fire risk and check how severe it can be. This sample is fully customizable and available for free download from our website. The assessment is usually carried out by firefighters or by insurance companies while taking a fire risk cover. This is used by psychologists to assess the mental condition of their patient. 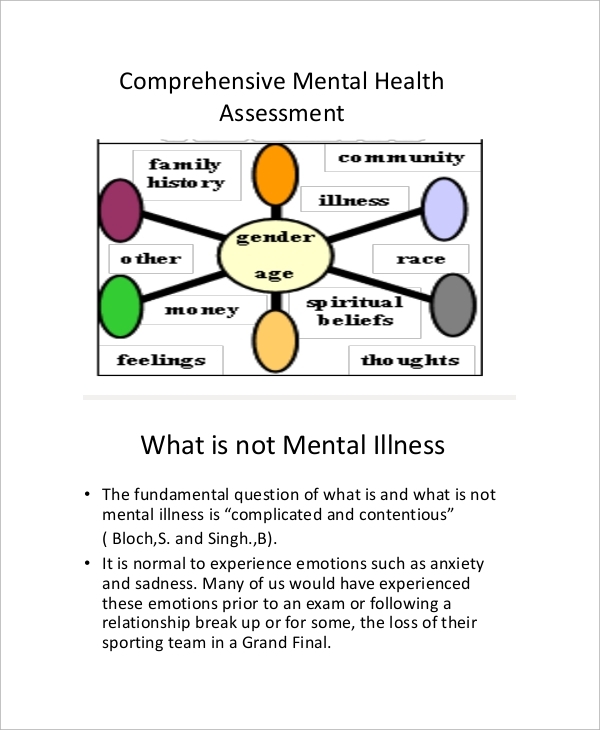 The sample is used as a guide and show the psychologist what is expected from the assessment they carry out. 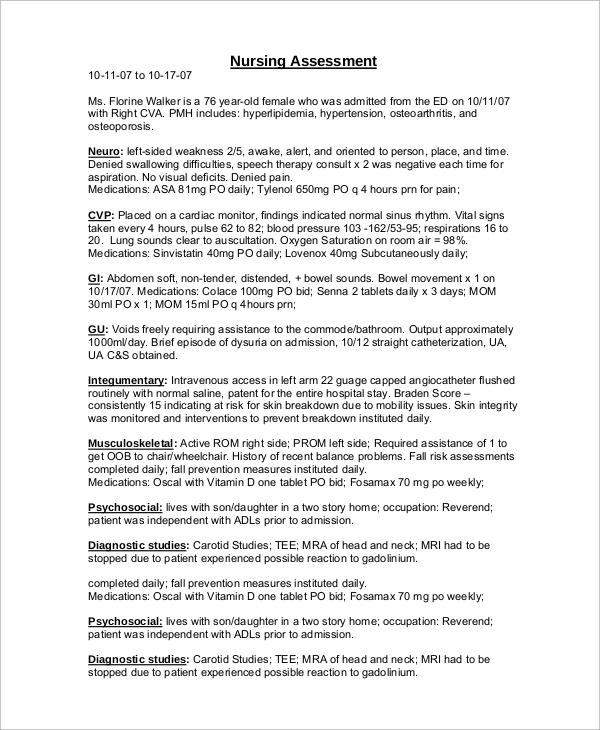 This sample is prepared to help the hospital head to assess the nurses’ performance. This sample ensures that the assessment produces reliable result. The sample can be downloaded from out site for free. This is used by personal trainers to determine how healthy you are physically. This sample ensures that the assessment carried out is reliable. The sample is available for download on our website. This sample is prepared for the doctors and nurses. It helps them to know what condition the patient is in and this helps them to determine what kind of treatment they need. The sample is downloadable from internet for free. Sometimes we need to know how a person is performing or a car is performing. Carrying out an assessment on their performance, we are able to have their SWOT analysis. Samples of performance can be downloaded for free from our website. This is mostly used by the insurance people to assess a risk and get to know what amount a person need to pay for an insurance cover. 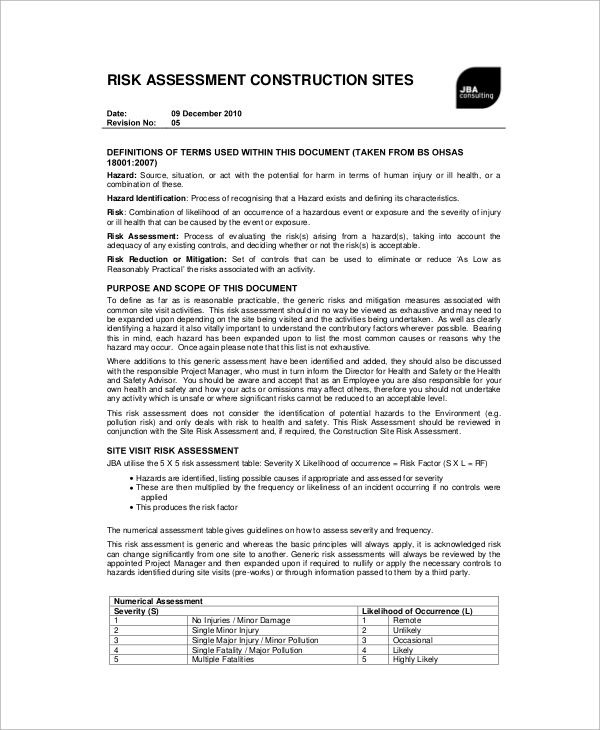 The sample of a risk assessment form can be download from the internet for free. 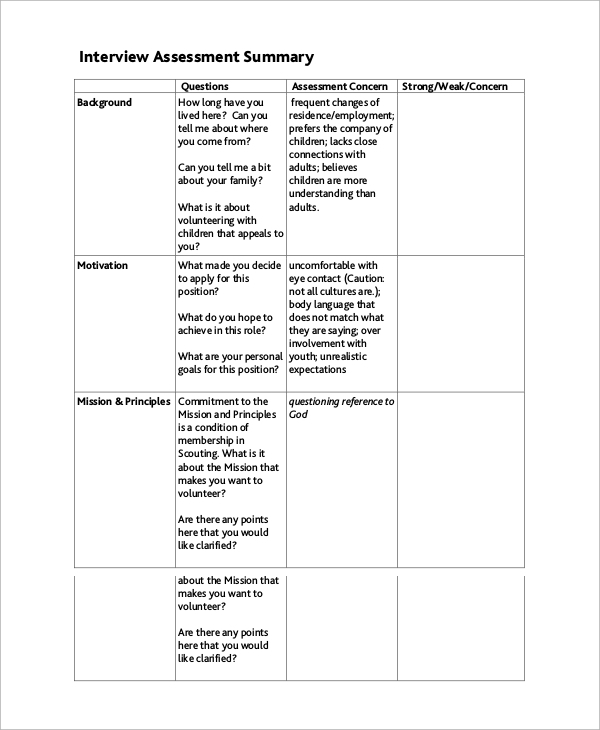 This is a sample prepared for the readers who would like to take a self-assessment for themselves. 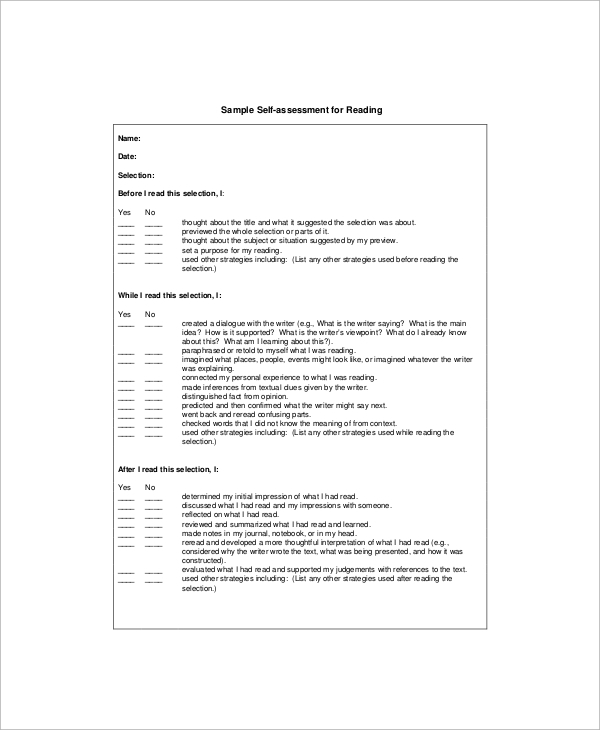 This assessment helps them to know how weak or strong they are when it comes to reading and what areas they need to improve on. A Performance Evaluations is carried out by employers to determine how the employees are performing. It helps them to know the strengths and weaknesses of employees and get to know which areas each employee fits in better. With an evaluation report, the employer will be able to set goals of professional development of the company. By knowing the weaknesses and the strengths of the employees, the employer will able to determine whether they need more employees to handle a particular task or they need to fire some. 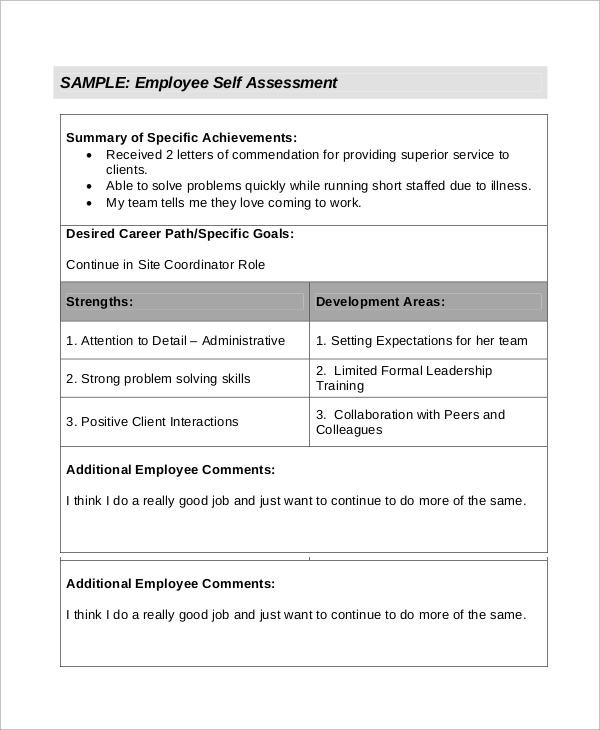 The evaluation report gives the employer the overview of the employee’s performance and their productivity. You can make the assessment more meaningful by ensuring that all the relevant information about something or a situation is considered when carrying out the assessment. Using a template or a guide is highly recommended because it ensures that all factors are considered before making a decision. The sample can be more meaningful and also provide reliable information about a situation, condition or about something. The assessment should also be carried out periodically to ensure that the information provided is reliable and error free. Using some of the samples available on our site also raises the chances of having a more meaningful assessment report. Carrying out an assessment helps us to understand a condition or a situation better. For Business Risks Assessments it helps us to determine if the risk is worth our investment or not. 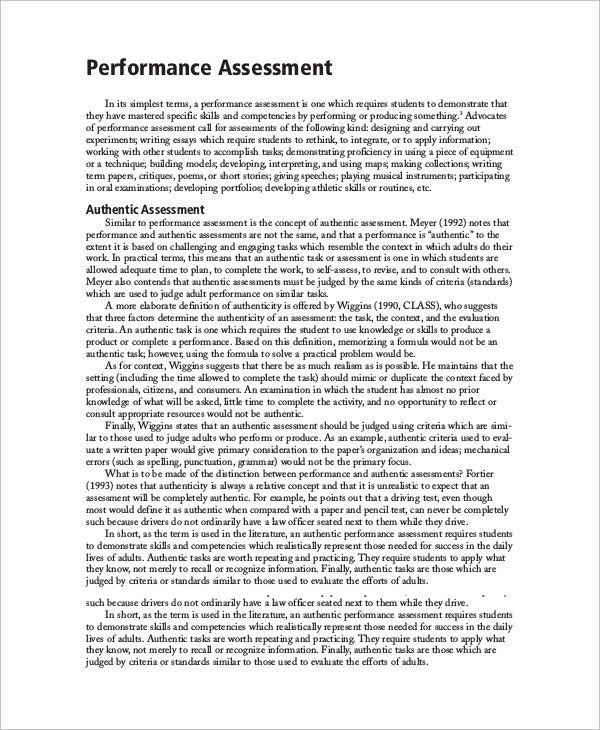 Samples to different assessment can be downloaded from our site for free.